Written by Tjasa Zajc on March 14, 2018 . 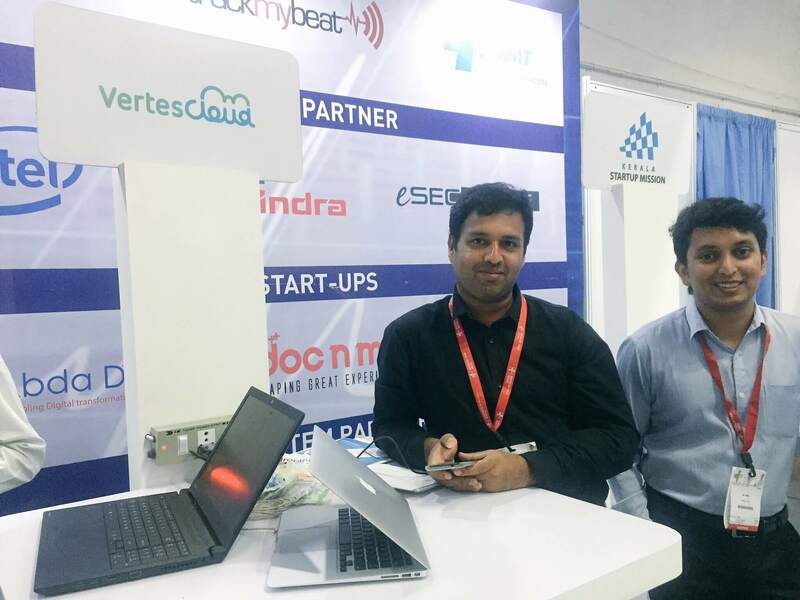 Posted in Events, MEDICA, Mobile, Startup of The Month, Weblog. 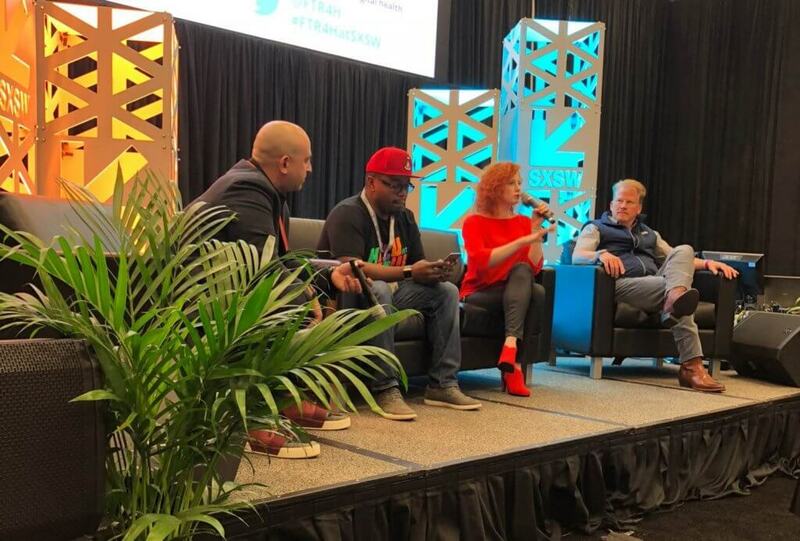 This year’s SXSW was the second time Future for health attended one of the worlds liveliest innovation, music, entrepreneurship and latest tech trends festival. 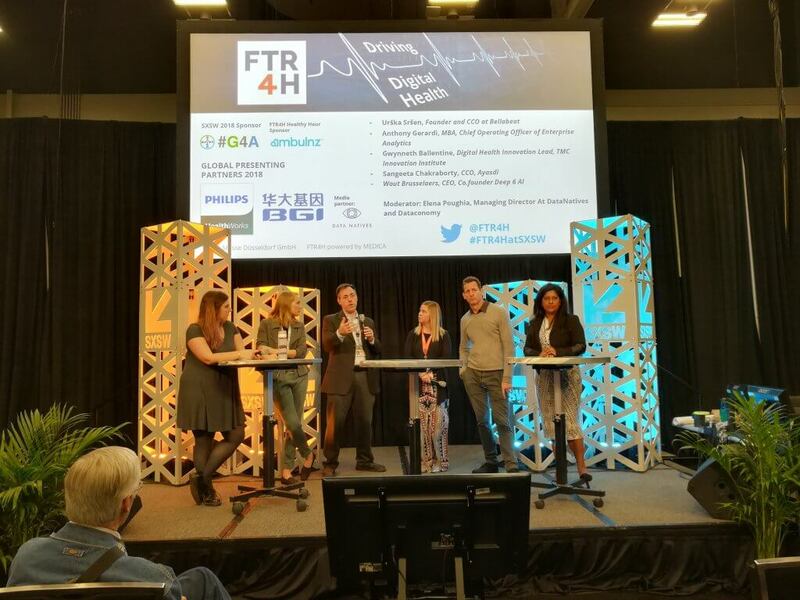 This year in Austin, Texas we hosted three companies in our pavilion in the exhibition space – G4A Generator and global FTR4H sponsors BGI and Philips Healthworks. The highlight, however, was the full-day conference, held on Sunday, March 11th. The main focus of the program was to bring the international audience the best global speakers from various countries. 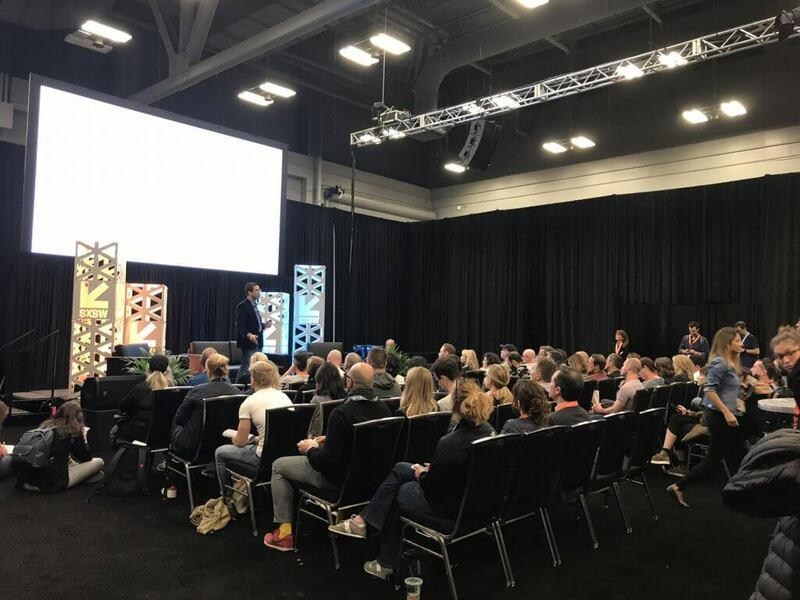 After an introduction of FTR4 by its co-founder Tom Mitchell, President of MDNA, the opening keynote was in the hands of Rasu Shrestha, CIO at UPMC and Head of UPMC Enterprises. The subject of his keynote was “Everybody wants to innovate, nobody wants to change”, and as he emphasized, the biggest danger to innovation is complacency of existing market players. When talking about innovation, we need to be aware it regards behavioral change, which requires deep design thinking. Only in such design technology can be invisible to the user and consequently effective. 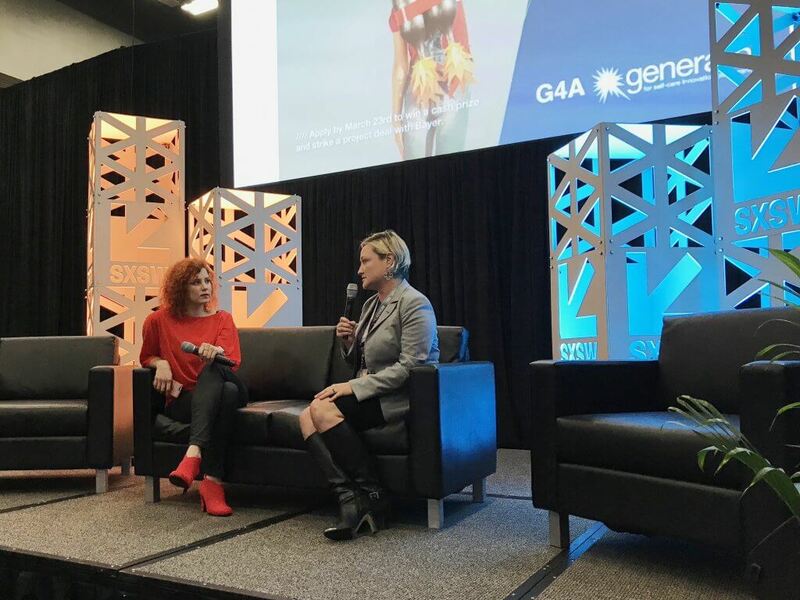 Priscilla Beal, Head of G4A Generator, presented Bayers new, the US focused initiative for startups addressing self-care in the areas of sun and skin protection, external pain management, nutritional support and digital self-care. Johannes Steger (left on the picture below), Journalist at Handelsblatt moderated the panel of patient self-care with panelists Jordi Piera Jiménez, Secretary of the Strategic IT Board at the Catalonian Healthcare Department and Jorrit Ebben, Co-founder & Managing Director, Academy Het Dorp. 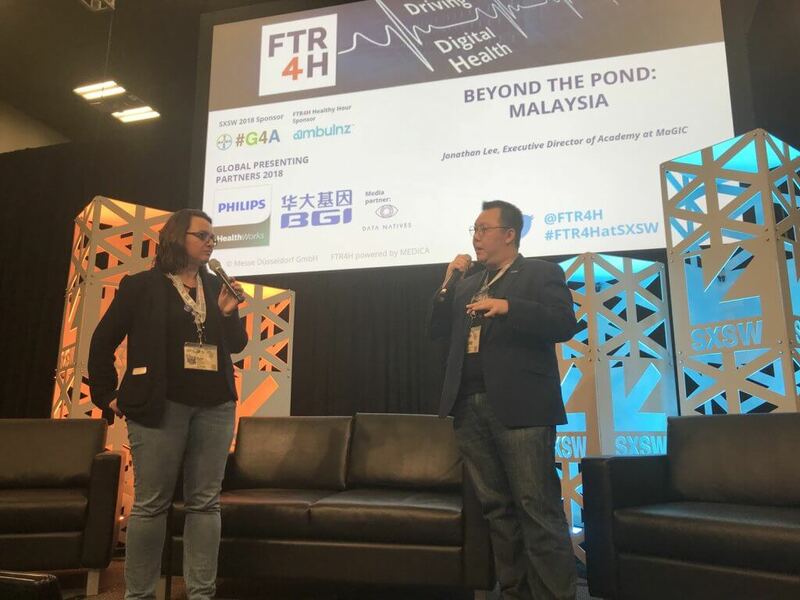 Our global FTR4H Evangelist Mark Wächter talked to Brian Rosnov, Innovation Lead at Philips HealthWorks about solving Healthcare challenges via collaboration. HealthWorks a recently created unit within Philips has a mission to generate Breakthrough Innovation in the area of Healthcare particularly Digital Health. 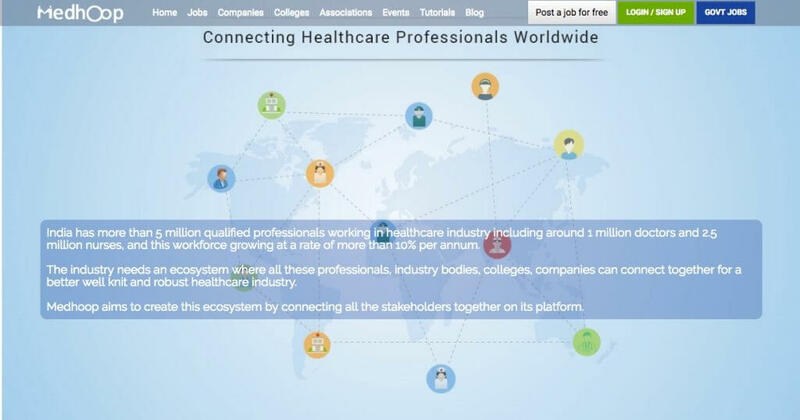 Working at a global level, HealthWorks is creating new methods of collaboration with external startups and the Healthcare eco-system to solve some of the bigger challenges that exist in Healthcare around the world. The conversation on collaboration was followed by a debate on potentials of blockchain in healthcare with Eugene Borukhovich, the Global Head of Digital Health Incubation & Innovation at Bayer, Samson Williams, co-founder of Axes & Eggs, a cryptocurrency mining company and Michael Dillhyon, Co-founder of Swiss-based Healthbank. It was moderated by the FTR4H Ambassador Tjaša Zajc, business developer at Iryo. 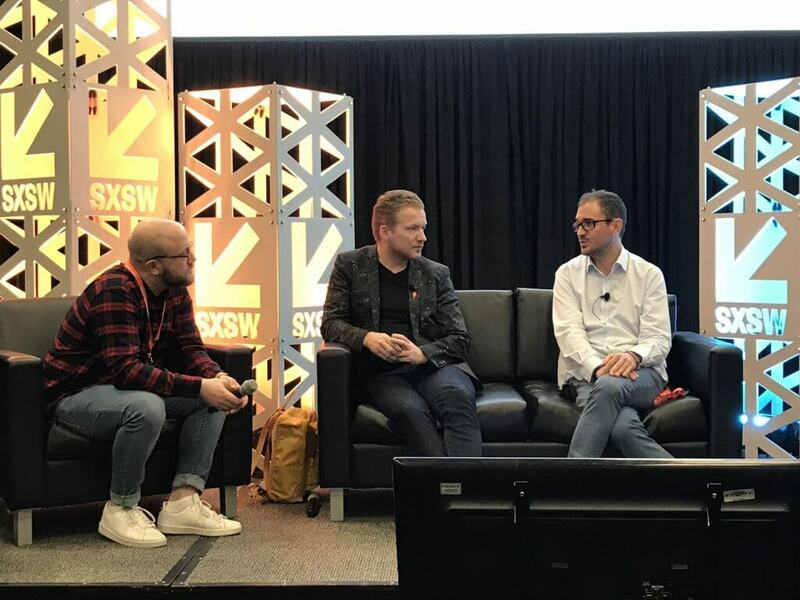 We are especially proud to offer the SXSW audience an insight into digital health development around the world. The session was moderated by Maren Lesche, eHealth Startup Expert, and Ambassador at FTR4H. Jonathan Lee (picture above), Executive Director of Academy at MaGIC, presented Malaysia. Regine M.A. Th. 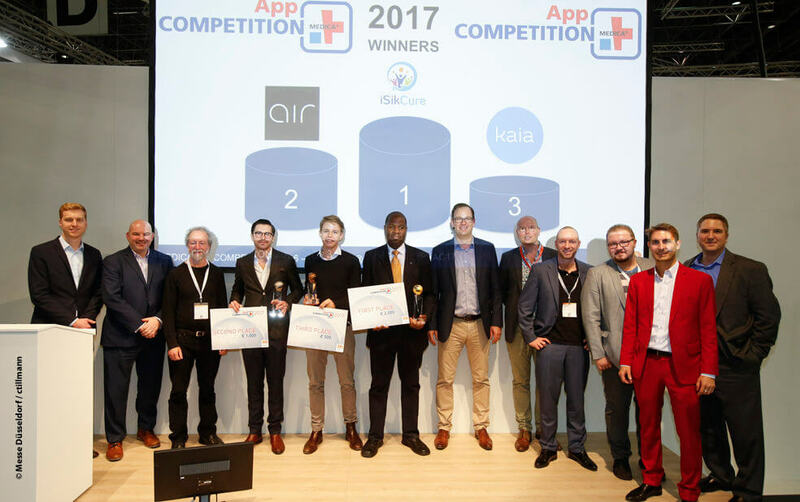 Aalders, Counselor for Health, Welfare and Sport to Canada and the USA, Embassy of the Kingdom of the Netherlands presented the state of eHealth and digital health in the Netherlands. FTR4H Ambassador Moka Lantum talked about opportunities and specifics of the African market. We heard the presentation of approaches to digital health in Norway, presented by Nard Schreurs, Director eHealth, and smart living at IKT-Norge/ITK Norway. Big Data and AI are buzzwords when it comes to healthcare future. 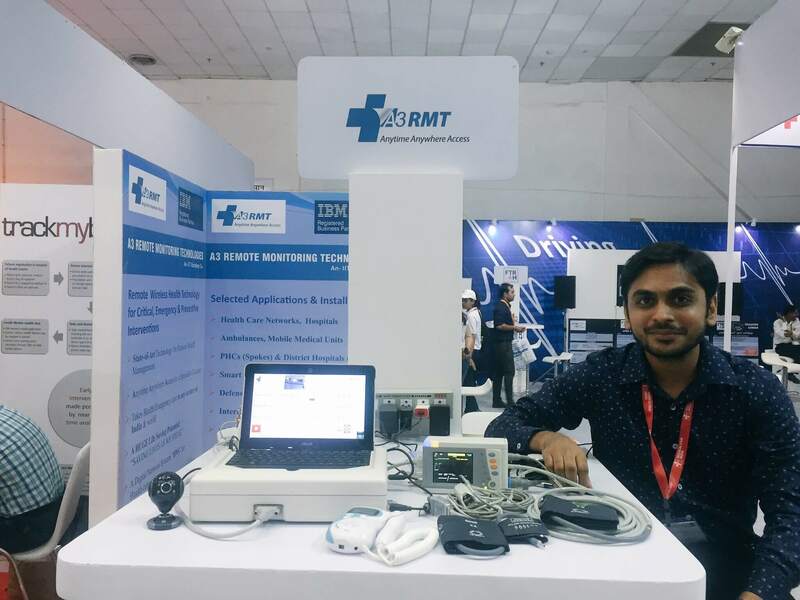 From public health to personal patient data and transparency of medical documentation, to care personalization, to the future of work for clinicians, the expectations on Big Data impact are at times astonishing and at times alarming. Elena Poughia, Managing Director At DataNatives and Dataconomy talked to Urška Sršen, Founder and CCO at Bellabeat, Anthony Gerardi, MBA, Chief Operating Officer of Enterprise Analytics, Gwynneth Ballentine, Digital Health Innovation Lead, TMC Innovation Institute, Sangeeta Chakraborty, CCO, Ayasdi and Wout Brusselaers, CEO, Co.founder Deep 6 AI. After an open-mic session, we wrapped up the conference with genomics. 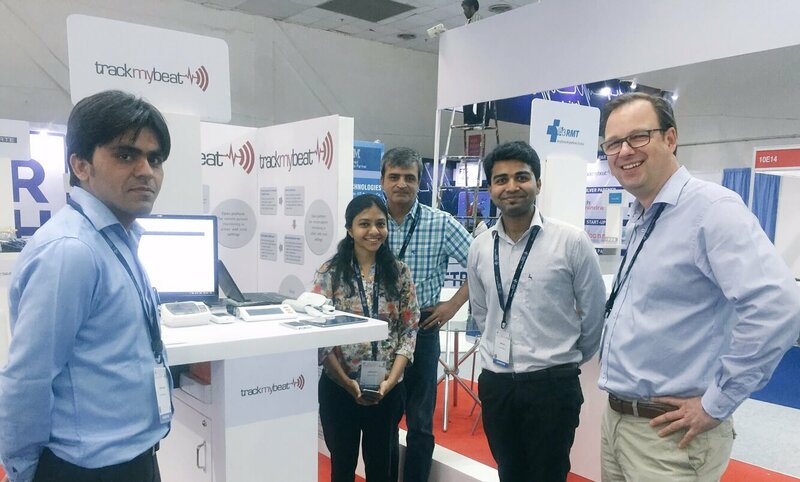 Mark Wächter talked to dr. Wang Jingjing, a Product Manager at BGI International. Dr. Wang Jingjing gave a speech on the topic of “The Future of Genomics – Whole Genome Sequencing WGS.” She mentioned that in the field of pathogen detection, metagenomics sequencing provides a single, all-inclusive diagnostic test and allows actionable information to be obtained sooner than traditional techniques. In the future of personalized medicine, sequencing is easy to obtain, while the comprehensiveness of microbial WGS database and data interpretation will be the challenge. Metagenome sequence data will be an important tool to predict disease susceptibility and drug response. Written by Maren Lesche on March 9, 2017 . 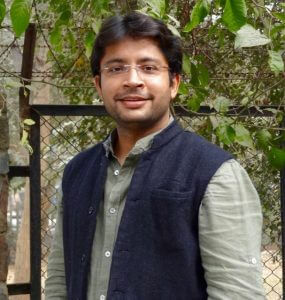 Posted in Mobile, Startup of The Month. According to CBinsights, Startups have raised over $1.1B to help improve women’s healthcare. 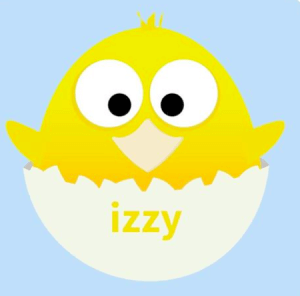 At SXSW 2017, we therefore invited a new startup that developed a FemTech solution that will support teenage girls in learning more about sexual health: The Hungarian-German startup MediLad builds personalized health conversations for women.The first product of the young female founders team is Izzy, a period tracking chatbot for messenger. In a short time of 3 months, the female founder team engaged 15,000 users worldwide and processed around 300,000 messages. In September 2016, the team joined the first batch of Startupbootcamp Digital Health Berlin. Fertility solutions – Startups providing IVF, egg freezing, and medical treatments for female infertility. 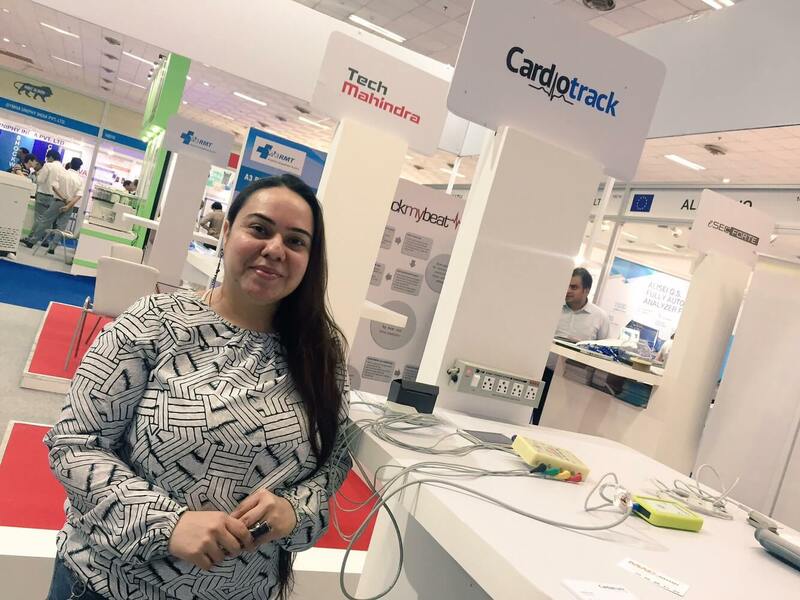 Period & fertility tracking mobile apps – Mobile apps for self-tracking of periods and fertility cycles. 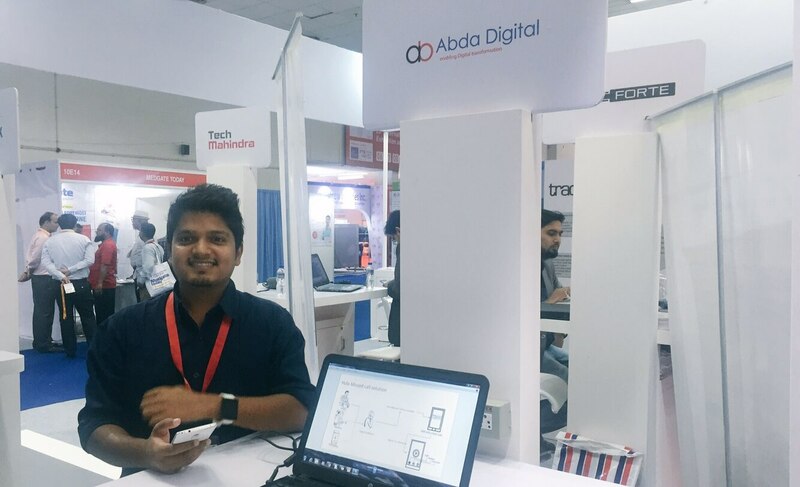 At-home fertility monitoring devices – Startups offering hardware devices for women to monitor their fertility at home. 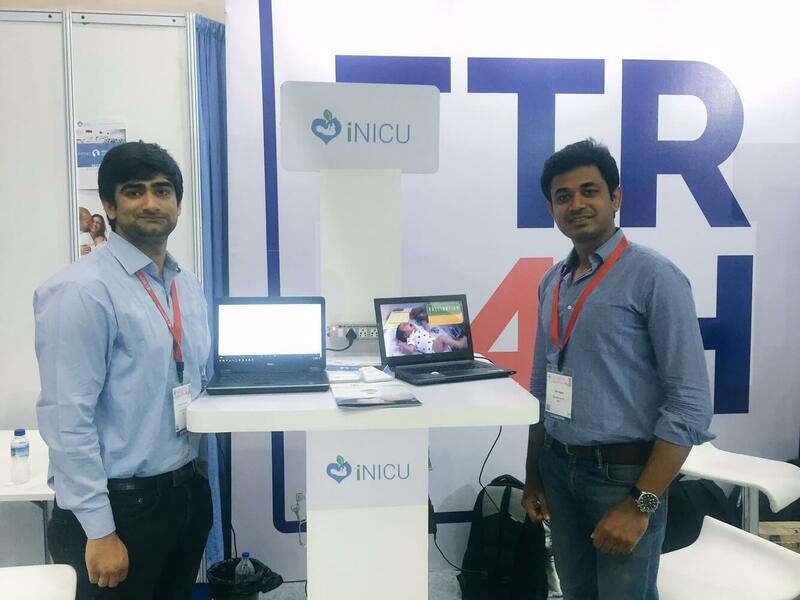 Pregnancy & nursing care – Startups offering medical care & diagnostics for pregnant women, as well as tech-enhanced breast pumps. Reproductive system healthcare – Healthcare companies focused on women’s sexual health issues, such as pelvic floor device makers and women’s STI treatments. 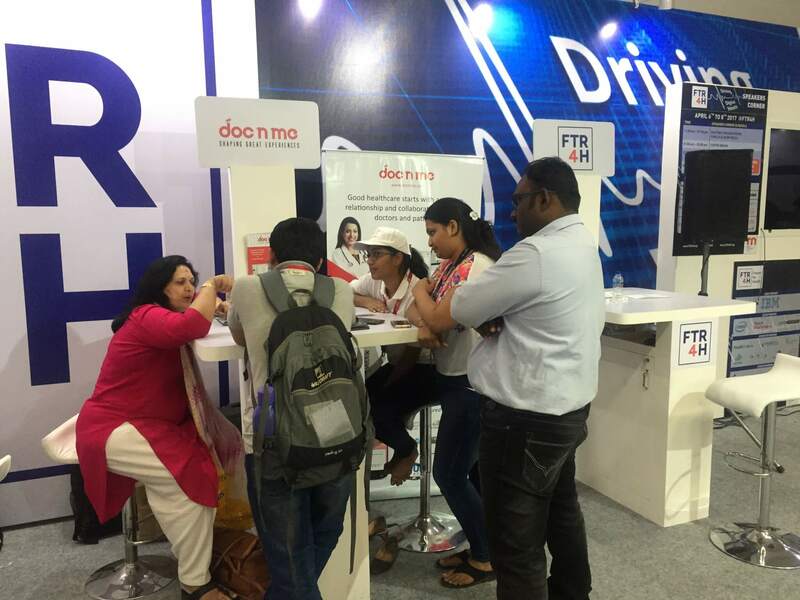 General healthcare – Teams aiming to improve the overall clinical healthcare experience for women. Period care goods – Startups offering pads, tampons, and CPG items for managing periods. 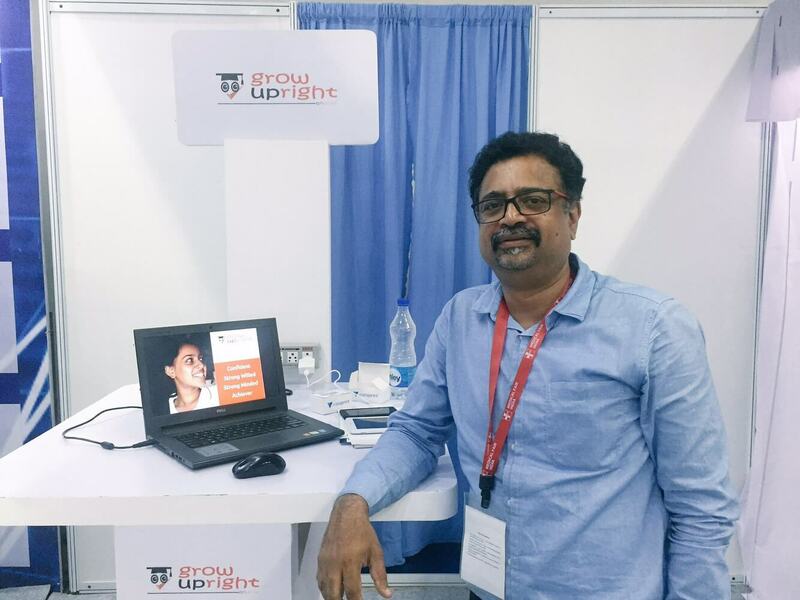 Women’s sexual wellness – Startups offering lubricants and related items to help women improve sexual wellness. 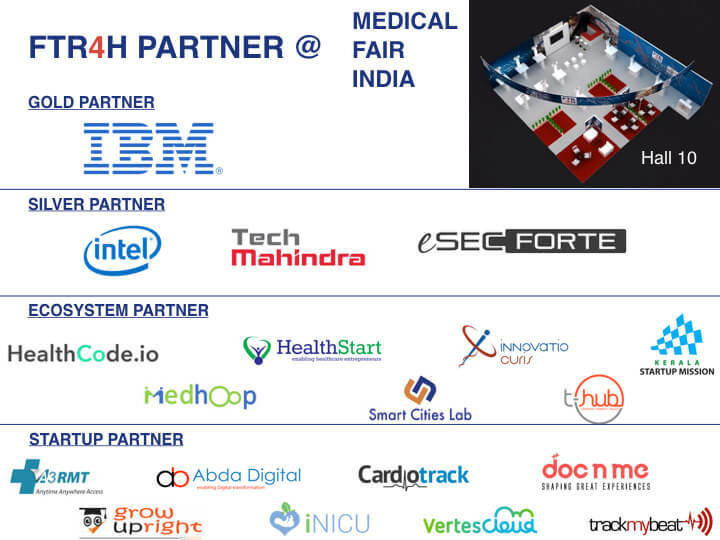 Learn more about MediLad & Izzy at the FTR4H Digital Health Reception on March 13th, 4pm, at the German Pavillion, Wunderbar.